RAM 300 Series discs are the top of the line in organic discs. Each disc features a high strength eight spring hub assembly utilizing the patented Poly-coil urethane encapsulated damper spring for up to ten times the shock dampening of standard springs. Premium quality non-asbestos facing material is bonded to a steel backing for better heat dissipation and greater rotational strength than standard facings. The 300M series discs utilize a marcel carrier to better absorb engagement shock and chatter in street and strip applications. 300 Series race discs use a flat carrier for quicker, cleaner disengagement and shifting, but will be more aggressive engaging when used in street applications. 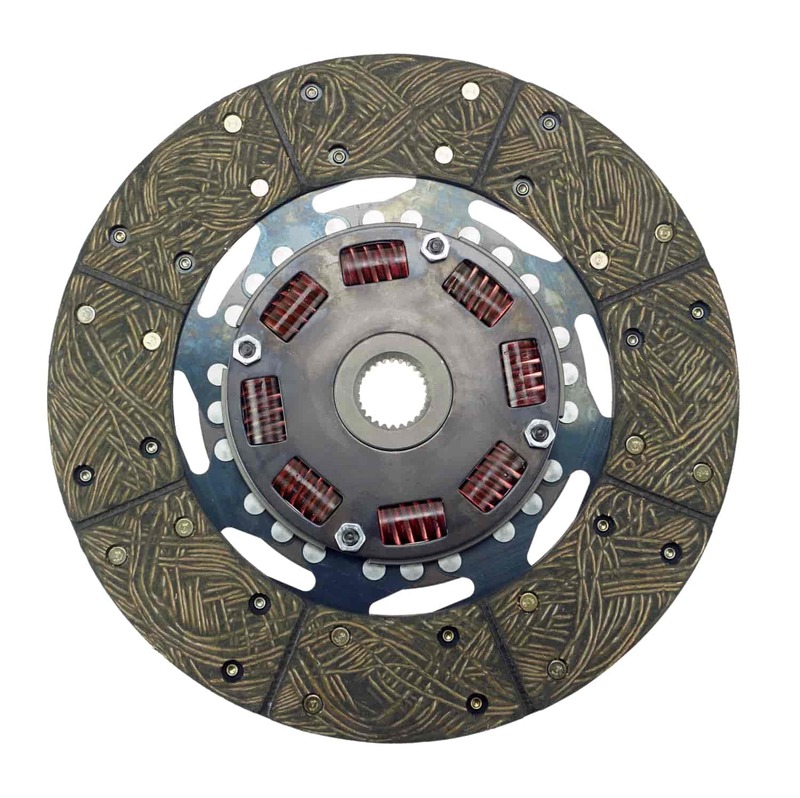 If you are looking for the ultimate in an organic disc to retain driveability, the RAM 300 series disc is for you. 302 is rated 5.0 out of 5 by 1. Rated 5 out of 5 by rchrischris from Best clutch I ever installed I have owned my 1938 Pontiac since 1968 and recently installed the Ram Competition Clutch. Without a doubt, it is the best clutch I ever installed. As a side note, I always use Borg & Beck.